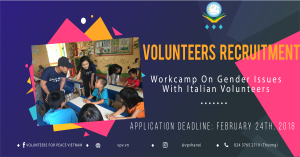 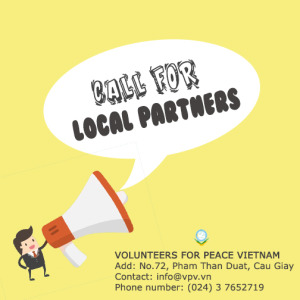 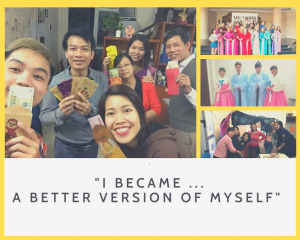 Volunteers For Peace Vietnam (VPV) is looking for 02 Vietnamese volunteers to support a group of Singaporean volunteers in a project to help the community. 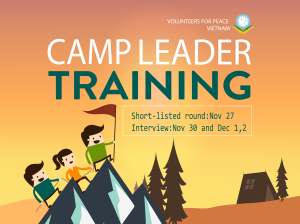 All expenses for your accommodation and food during the programs will be covered by VPV. 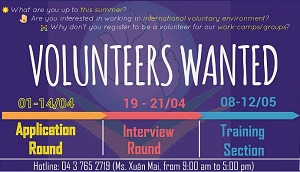 - To work in teams with international volunteers to organize lessons, games, and events for kindergarten children.